Blur alert , Blur alert - Blur has announced 3 more dates for their 2013 tour, and it's beginning to sound like the band's planning another massive return for next year's summer. Primavera Sound Festival Porto 2013 in Portugal from THURSDAY 30 MAY 2013 – SUNDAY 02 JUNE 2013. No England dates have been announced just yet, but The Guardian reports that "a handful of British festivals", including Reading and Leeds, are competing for a Blur performance. The band announced a few days ago that they're going to tour Europe and also headlining Rock Werchter, a music festival in Belgium. "Thank you for waiting," said the band on their official Facebook page. 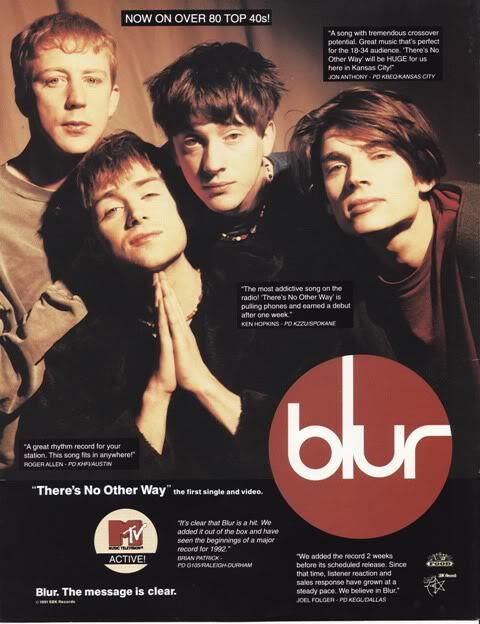 "Rock Werchter is about to announce that Blur will headline next July. We're excited.. hope to travel in 2013 to play to more of our lovely fans who we haven't seen for a while. Don't know where yet, we'll tell as soon as we do." Rumours about Glastonbury 2013 are also in the midst. This can only mean one thing - Blur's going to still play in the future, and fans are going to be having a blast this summer! Order tickets for Blur at Primavera, Barcelona, Spain HERE. Tickets for Blur in Belgium's Rock Werchter will go on sale on November 2nd (price not yet announced). Stay Tuned, leave us a comment below and Get The Latest Blur News delivered straight to you- BlurBalls is the most updated Blur fan site on the internet!